Starting topic and update as it goes. Other test will post here. Can see icon on desktop with "SE Warnings". Cant get access: keyboard & mouse Not working. Meegopad booted up with mouse and keyboard working and running True Image 2014. Image backup went fast. 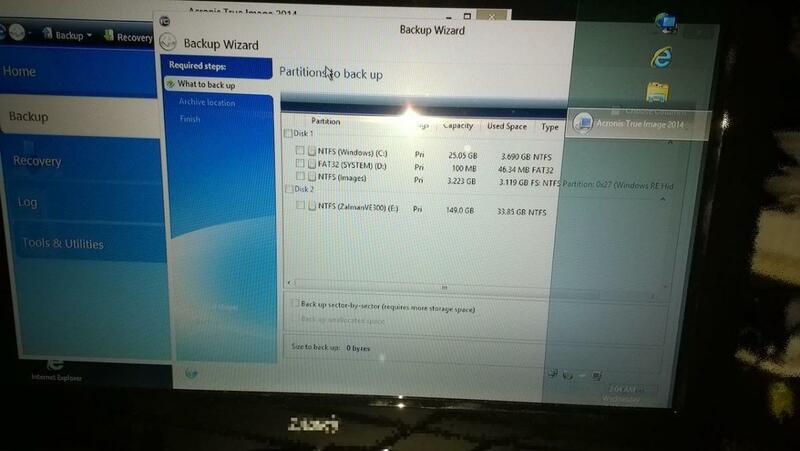 Win8PE_SE booted using ZalmanVE300 Virtual BD-ROM drive. Should work from USB boot. Win8PE_x86-2.ISO = booted with mouse and keyboard support. Tested win8Se with Usb boot but not booting into pe.Shuts meegopad down. 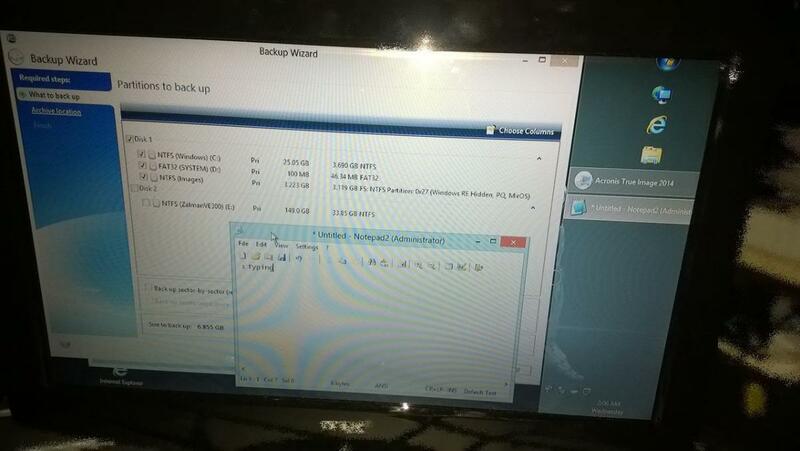 So so far only Zalman win8Se iso booted ok. So, now i should be able to delete all partitions right, even the MSR. We should be able recreate MSR, if reinstalling windows 8.1. There is a bios to auto start meegopad when connecting power. As I can read it is UEFI x86 but I would like to know if it is normally intalled or Wimboot mode. Edited to add new info. Edited by alacran, 15 March 2015 - 01:42 AM. Havent booted Windows OS yet. Will boot it up today. How can you tell if its normally installed or winboot mode? Yeah I saw that post. I havent used WinNTSetup yet but i was looking at a video on how to use it and it seems easy enough to use. It should be then possible to boot Win8PE SE and easily reinstall a fresh copy of windows 8.1, that is since the meegopad has been factory activated. Will find out in a sec if its activated or not. I will try to test a new build of Win8PE SE X86 from scratch and see if the new release update will boot with Meegopad. I still wonder why the Win8.1PE SE wont boot properly like the Win8PE SE. Something must not be properly implemented with the UEIFE booting in Windows 8.1 Project. I will post some pics so yall can see what i mean by not properly booting with Mouse and keyboard support. Is ChrisR still around here somewhere. Burned to USB and booted from meegopad. Will post pics of PE boot in a sec. There are also pics of Disk management. Might need to recreate win 81 pe se from neew release and with defaults. The one tested was an older dated build. Lol! now Windows wont boot. Goes into repair mode. then gives option to restart but shuts down instead. Will go into advance options - Trouble shoot - Refresh your PC - See if that allows booting to windows. Advance - Execute disable bit default was enabled but i had disabled it for test. bios- Advance security configuration - default was enabled but i had disabled it for test. Still turned off. There was a problem refreshing your PC. No changes were made. Can still see Windows on C drive. Why wont it boot. Tried restoring True Image and not booting up. Goes in to Recovery and Self repair. Download and expand WinNTSepup in a folder ( I use WinNTSetup3.75 folder) at least once in your PC to let it download the required files from Internet, download an copy BOOTICE, put the x86 version in \WinNTSetup3.75\Tools\x86 and the x64 in the equivalent folder, now copy the WinNTSetup3.75 folder to your USB where you have your Win8PE SE, boot from the USB stick, find the folder and open WinNTSetup (x86 or x64 as your Win8PE SE version) and from it open BOOTICE then open BCD in easy mode to see how it boots (Usual install or Wim Boot). Make notes of this just in case. As you have the install.wim in the windows images folder (in Images partition) of your MeeGoPad, you are able to reinstall from it to the Windows NTFS partition and recreate all the booting partition (Fat32) too (Usual install or Wim Boot), you need to format ONLY the Fat32 and the Windows partition before procede, DO NOT FORMAT the Images partition. Then select in WinNTSetup the install.wim, boot partition and the Windows partions and depending from what you saw in BCD you select how to install (normal or Wim Boot). 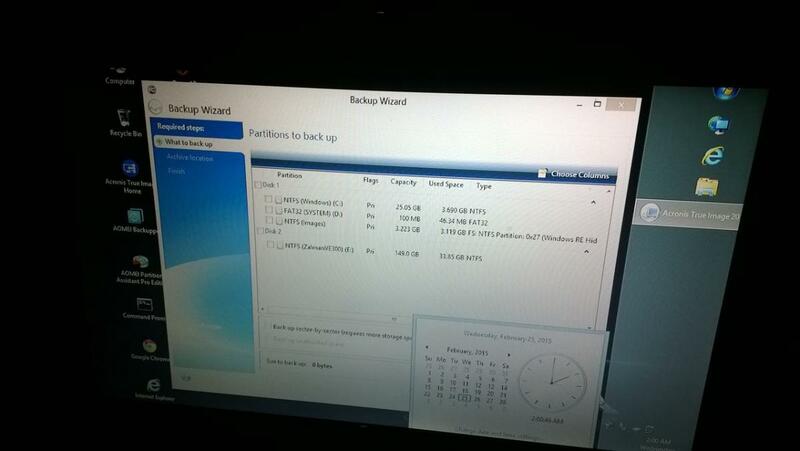 Let it finish and reboot to your Bios and put every thing as it was before doing any changes, save and boot. Then the system config. should start. will post as it goes. Downloaded, copied to usb and booted into pe. find the folder and open WinNTSetup (x86 or x64 as your PE version) and from it open BOOTICE then open BCD in easy mode to see how it boots (Usual install or Wim Boot). In BootIce, select the disk and open Parts Manage and you will see them. Did you open it first in your PC at least once to let it download required files? In BootIce open Parts Manage and you will see them. Aha! I see Partition Management. dont know what offsets are.